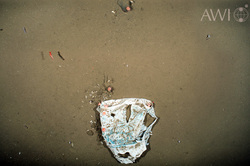 Pictures of plastic bag litter on land and in the oceans from around the world. 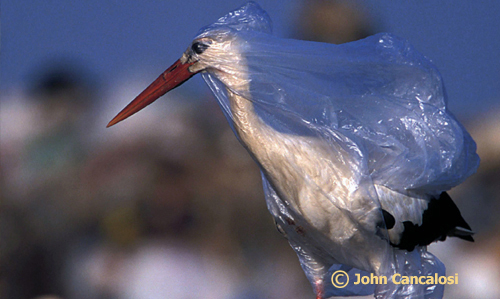 A European white stork trapped in a plastic bag at a garbage dump in Andalucía, Spain. Photo by John Cancalosi. 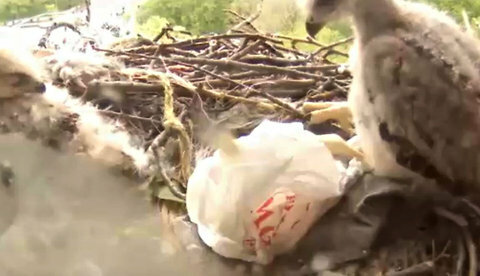 A shopping bag is wrapped around ankle of young hawk. Taken May, 2012 in Washington Square Park, New York City. The cow may be eating this because it resembles vegetation. 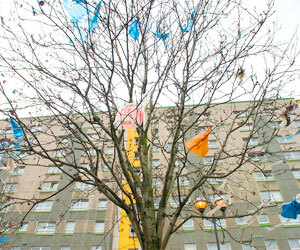 Plastic bags and plastic films in trees are a unique form of litter. Lightweight HDPE shopping bags are most commonly found. 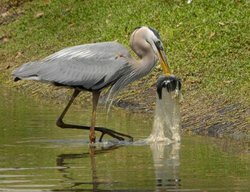 Great Blue Heron at Earl Brown Park in DeLand, Florida. 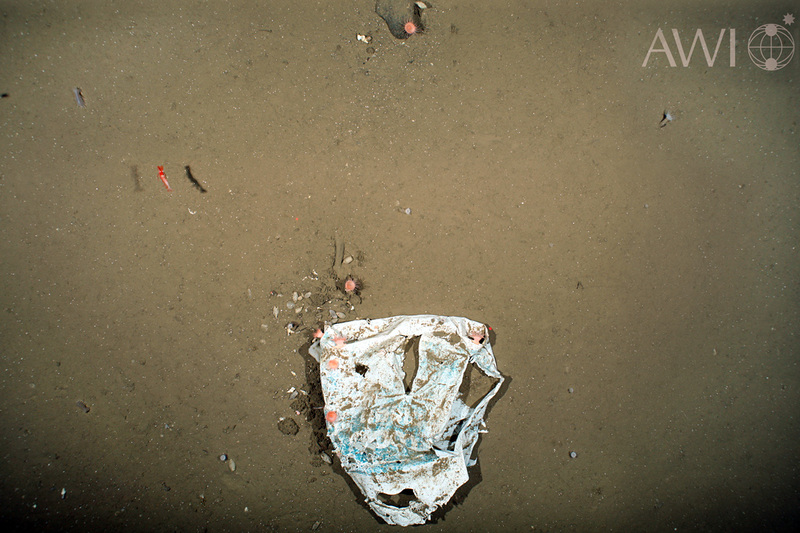 A fish swam into a water-filled plastic bag in the pond. 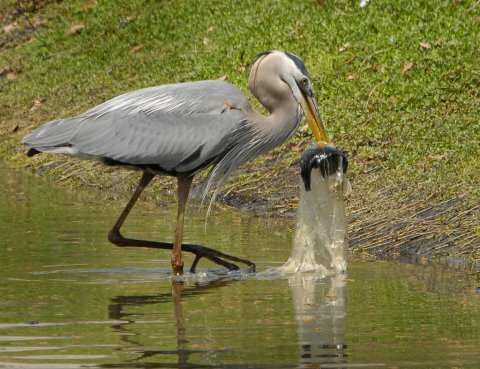 The fish's movement in the bag caught the heron's eye and in a flash it speared the fish with its bill. Photo by Andrea Westmoreland. 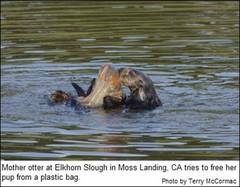 Sea Lion eating a bag. 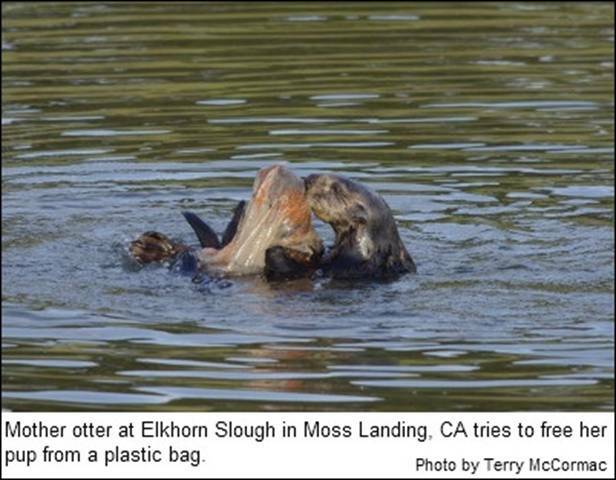 Taken at Elkhorn Slough, Monterey, California. Photo by Terry McCarmac. 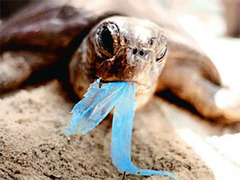 Turtles swallow plastic carryout bags since they resemble their main food source, jellyfish. Photo of Green Sea Turtle by Ron Prendergast, a staff member of the Melbourne Zoo, Australia. 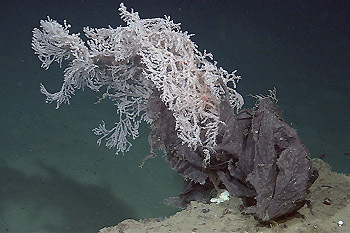 Plastic bags can kill coral by covering and suffocating the living polyps from which coral is made, or by blocking sunlight needed by the coral to survive. 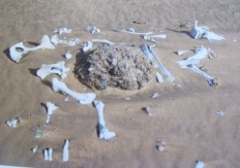 A camel that died in the United Arab Emirates from a bezoar, in this case a calcified mass of plastics, primarily bags. 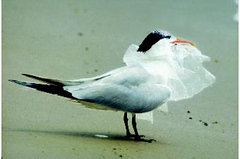 Hundreds of camels die from starvation each year from ingesting plastic bags left behind in the desert according to Dr. Ulrich Wernery, scientific director at the Central Veterinary Research Laboratory in Dubai.